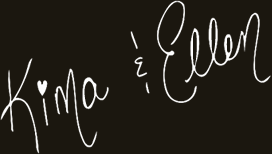 ELITE European Day Spa was founded by Kima and Ellen - sisters that moved to the States from Europe to chase the American Dream. It opened the doors for the first time in April of 2008. Since then it has become the premier luxurious destination for customers seeking high class quality spa services in a relaxing atmosphere with superb customer service. Thanks to overwhelming support of its loyal customers ELITE expanded in 2015. Our philosophy is simple. We consider our customers a family and treat them accordingly. Our staff takes the utmost interest in our customer needs and addresses them to complete satisfaction. We are looking forward to serving you at ELITE ! Located in the Ghent District of Norfolk! Call 757.622.8002 or stop in to purchase! Website Built By Web Overture.